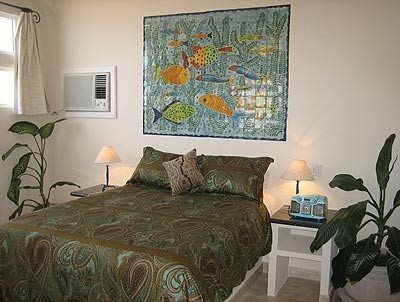 Walk down the curved staircase and you are immediately surrounded by lush, tropical flowers complete with the soothing sounds of ocean waves crashing and flowing water from the home rock waterfall. 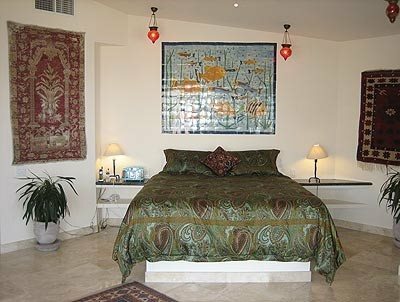 Enter the oversized, hand-carved wooden doors and you have stepped into a beautifully furnished modern villa, complete with plush leather furniture and original paintings. 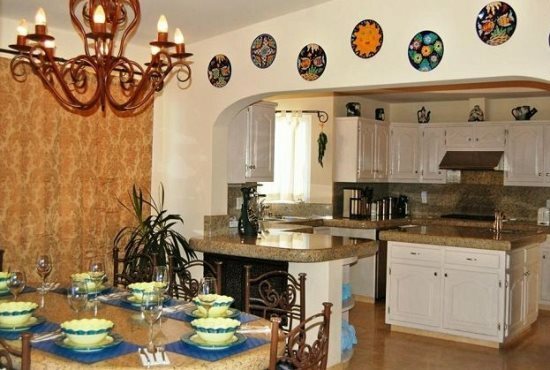 The Mexican artwork is provided by local artisans, giving the interior that contemporary yet authentic feel. 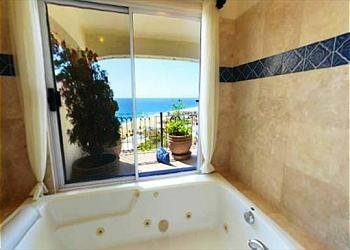 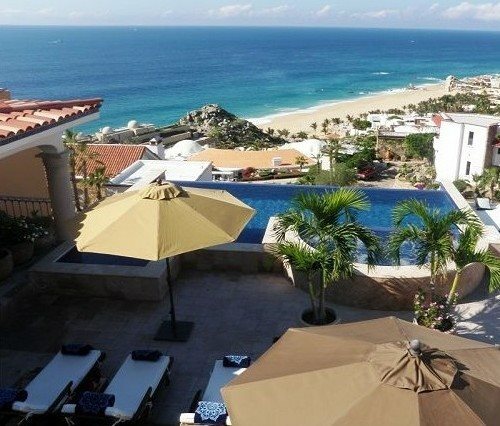 Enjoy the incredible white water ocean views from every room or on the resort styled luxury pool deck. 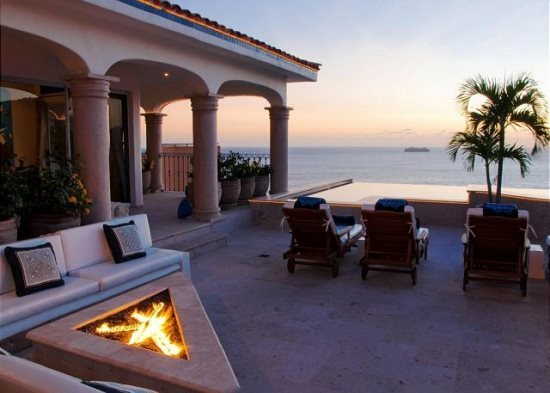 Nothing comes close to the breathtaking views from the heated Infinity pool. 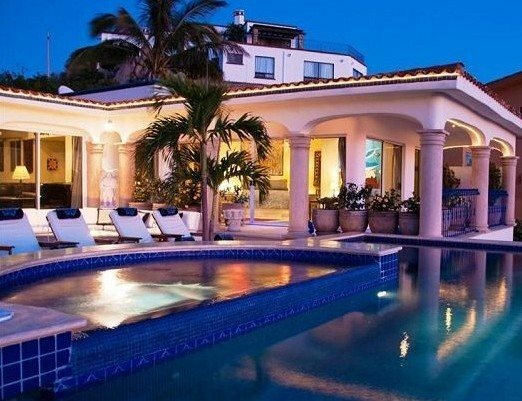 This 11 bedroom and 11 bathroom private Villa was completed in 1996 with several modern renovations since. 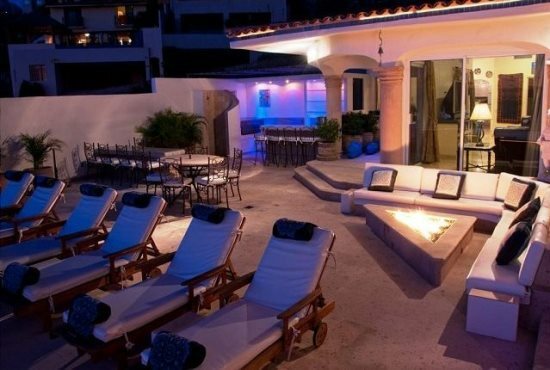 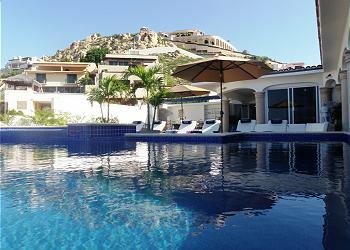 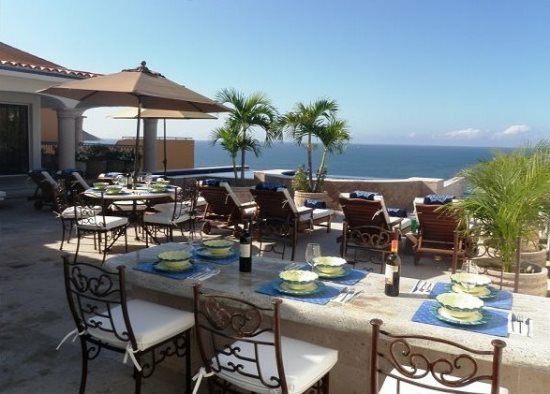 Now, with 15,000 square feet, Casa Theodore is one of the largest private Villas in the elite Pedregal community. 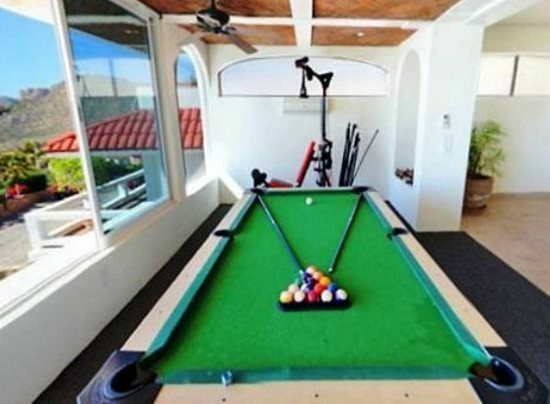 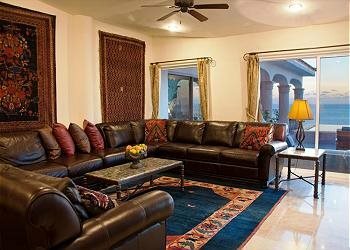 The villa recently added a recreation room that can accommodate two king beds or four twin beds.This Villa a perfect place for large, arend extended families. 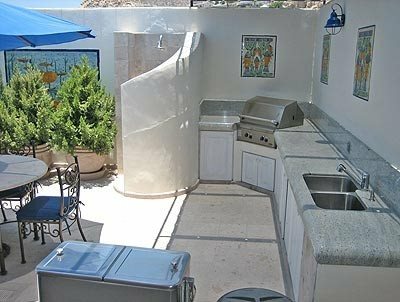 With it's lovely views of the ocean, it's wonderful pool area with plenty of lounge space, and the town of Cabo San Lucas just minutes away, memories of Casa Theodore are long remembered by each and every guest.